Exterior Finishers Direct supplies and installs 5" seamless eavestrough and downspouts on residential renovations and new construction. 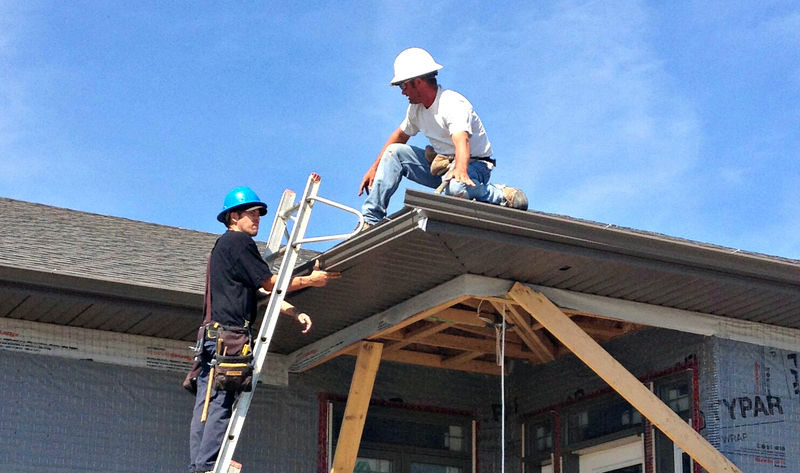 All gutters are custom made on site based on exact measurements to ensure a proper fit. Eavestrough or gutter is defined as a shallow trough fixed beneath the edge of a roof for carrying off rainwater. It is an important component in the roofing system. Correctly installed eavestrough with the proper grade and downpspouts located in the best locations allow for the proper flow of water from the roof to the ground and away from the foundation. Without the gutter properly installed, the home and roof are at risk of serious structural damage and moisture intrusion due to leaks and standing water. 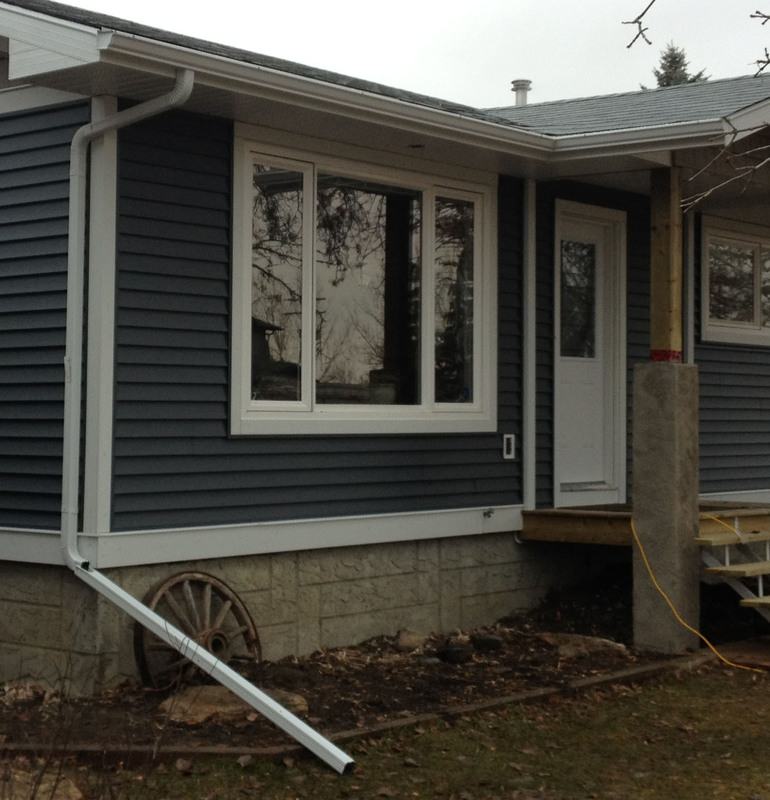 New eavestrough and downspouts will not only protect your home, it will enhance the look and feel of your home's exterior and comes in variety of colours to suit your needs. Use the contact form below or give us a call to book your estimate today!